There's little in life I love more than a rich tomato sauce, meat and pide bread. Put them together and you've got yourself a Manisa kebab, my favourite dish. There are quite a few little restaurants in Izmir that serve a mean manisa kebab, but I do believe I have found the best one. Located in the heart of Kemeralti you'll find the Doyuran restaurant, dating back to 1970. It doesn't look like much from the outside, with a few rickety tables scattered around a courtyard. But.. you know that saying 'Never judge a book by it's cover'? well, this is one of the times you should listen to that quote. It's my favourite restaurant in Izmir, maybe even the World and I drag Umit there at least once a week. 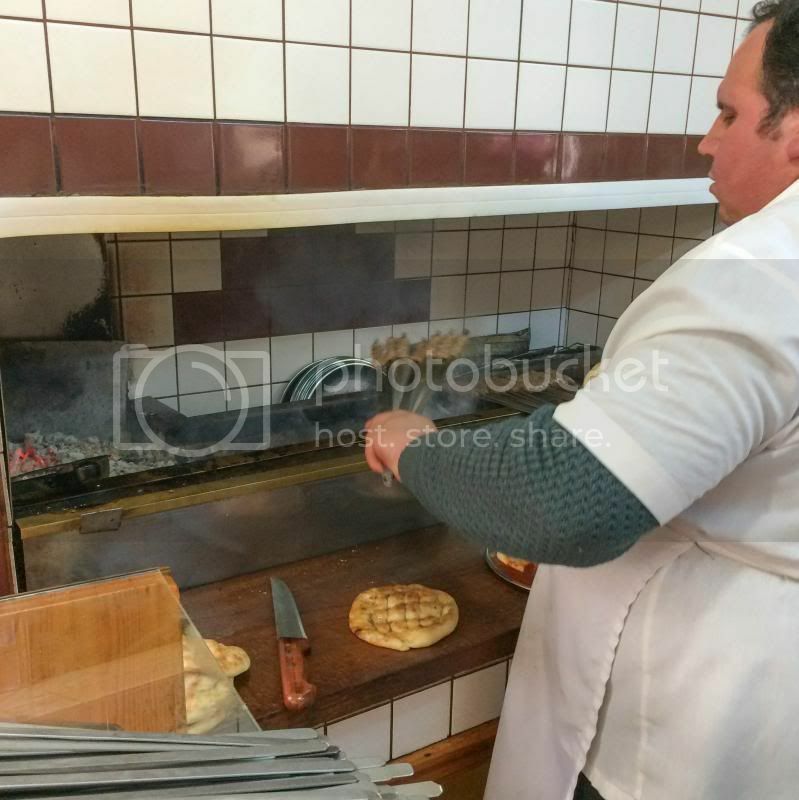 They serve iskender and doner but their real speciality is manisa kebab. It's perfection on a plate. The meat melts in your mouth and the tomato sauce is like a gift from the gods. I honestly cannot big this place up anymore if I tried. The atmosphere is great, right in the middle of a little square that's bustling with people, men singing and playing instruments for money and tourists meandering around looking lost. The waiters are attentive and friendly, the food is out of this World, and the price totally reasonable. Lunch time/afternoon, I was surprised to see that it closes at around 6.30-ish as the shops around start to pack up and go home. 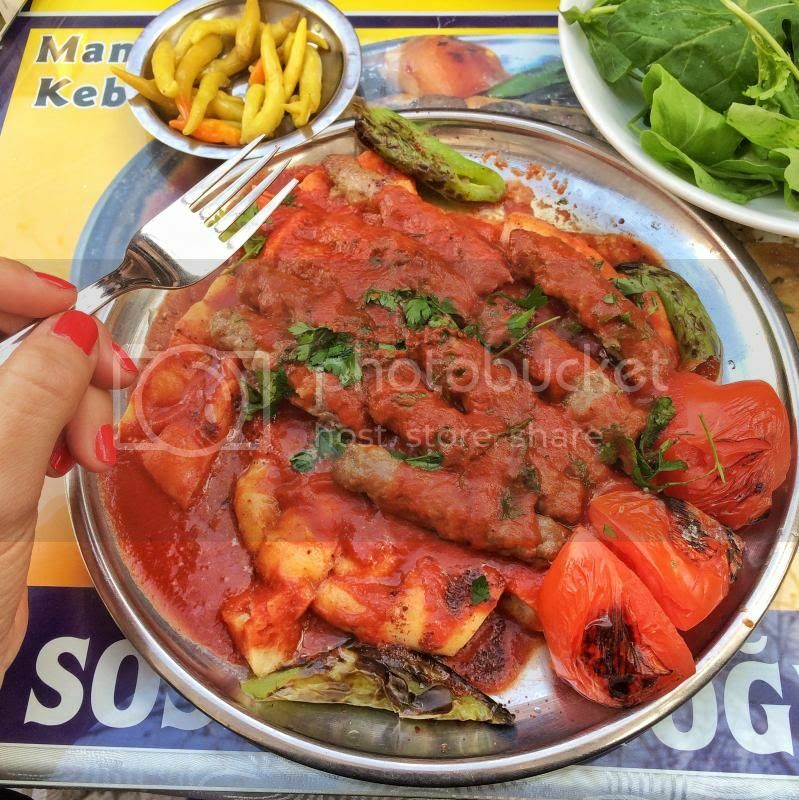 Mella we love Iskender kebab (the restaurants in Selcuk are our favourite) how is Manisa Kebab different it looks very much the same. Iskender kebab is usually made of doner kebab. The Manissa kebab is köfte. We came across the place by accident and were very happy to discover we could find it again. 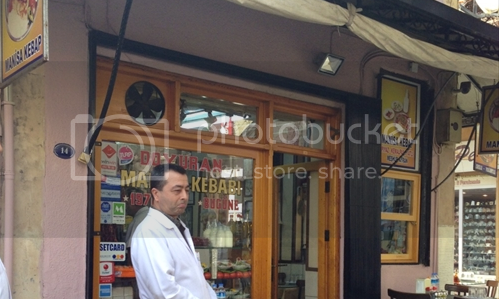 Apart from the excellent food and friendly service, it's right in the middle of the hustle and bustle of Kemeralti.